Windows and Office Product Key Viewer! Product Key Explorer recovers Lost serial keys, saves your Time and Money! 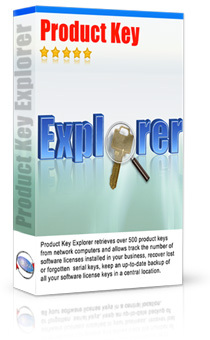 Product Key Explorer - Find over +7000 popular software product keys instantly! 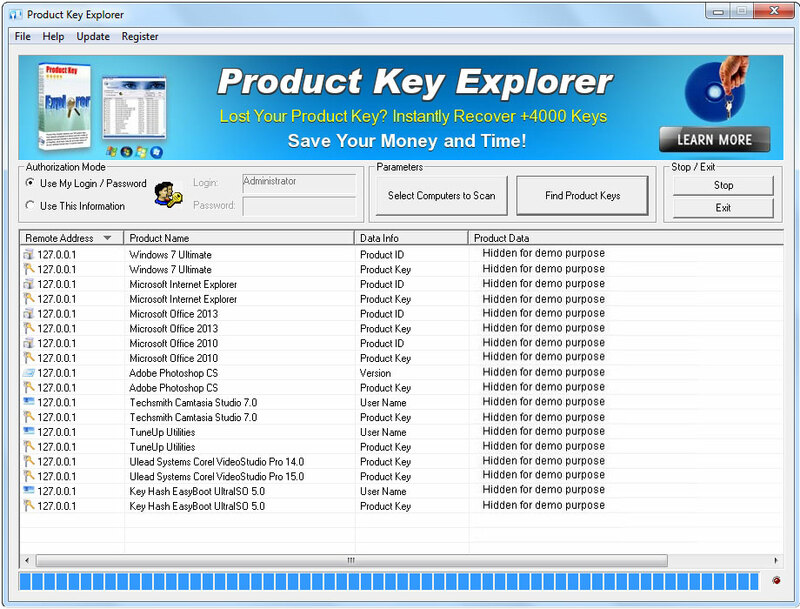 Product Key Explorer is product key viewer software, it recovers and displays product key for following programs: Microsoft Office 2010 product key viewer , Microsoft Office 2007 product key viewer , Microsoft Office 2003 product key viewer , Adobe product key viewer, Windows product key viewer, and more than 7000 popular software products installed on your local or remote network computers. In order to install or reinstall Microsoft Office, Windows, or other commercial software, you must have access to a product serial key (CD Key) for that product. With this software you will be able to track the number of software licenses installed in your business, view product keys, find and recover a lost or forgotten product keys, save and keep an up-to-date backup of all your software license keys in a central location. Excellent tool for network administrators, or businesses undergoing a software license compliancy.